The group leader sits on the floor in the center of the room, at the edge of a blanket filled with toys. As the parents arrive and release squirmy babies from coats and strollers, the room starts to fill with the babble of the kids and the conversation of the parents. 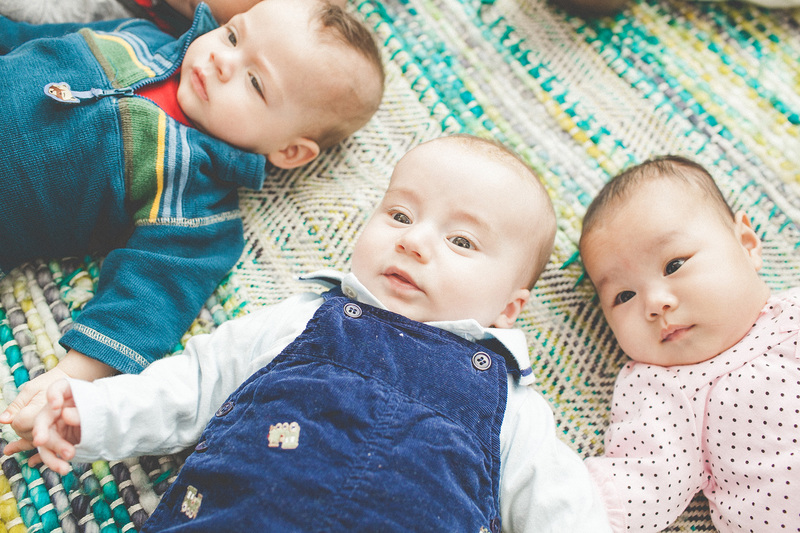 It’s the beginning of a Baby Peppers group, with the same overall structure and topics of a Newborn PEPS group, but tailored to babies between 5 and 12 months old. The babies are generally more active, as they roll, sit, crawl and explore the room, the toys, and each other. The parents too, have different highs and lows related to this stage of their parenting journey — some things are easier, some are more challenging and some are just different. As the eleven weeks progress, the parents are able to share and bond over their joys and challenges and find connections and resources from each other. The group meets in a neighborhood community-based location, and is led by a trained group facilitator. Starting in January 2018, a Baby Peppers group is coming to Columbia City. The Columbia City group will meet at Columbia City Church of Hope and starts January 11th. If you take a walk down Rainier Ave South on any given day, it becomes clear that the neighborhood is a friendly and welcoming place for families — from the Parent and Baby yoga classes at Lotus, to the clusters of parents and kids enjoying a treat at the Columbia City Bakery before heading over to Retroactive kids for a birthday gift. Parents can also find groups in Columbia City at MAIA Midwifery and Maternity. MAIA offers facilitated peer-based parent support groups specifically focused for LGBTQ+ families, including a modified PEPS curriculum for their meeting discussion topics. PEPS is super excited to have a new group in South Seattle as part of our continuing work to build welcoming and supportive parent communities in South Seattle and south King County. Financially assistance is available. Please register and share. Thank you! Polly Jirkovsky Gual is Community Connector for PEPS. Polly has worked at a variety of nonprofits in the Seattle area, working on issues of homelessness and harm reduction. She has led over 20 PEPS groups including Newborn, Baby Peppers and Little Peppers. Polly lives in the Central District with her husband, two kids and one rambunctious puppy. She is a voracious reader, an active member of her Quaker Meeting and listens to way too many podcasts. ← What is Identity Development?